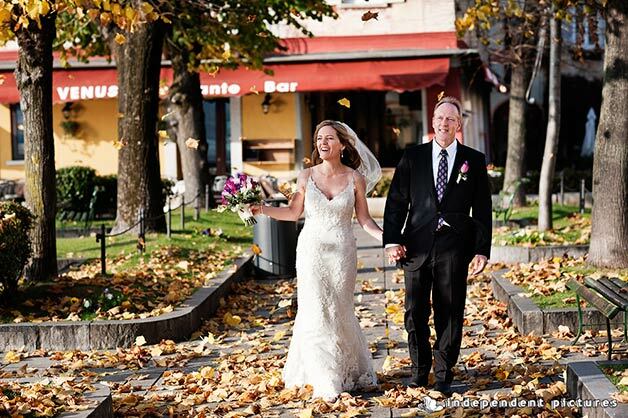 Who said that AUTUMN is not the right time for a wedding? Who said that it is a sad moment and it is too cold? This is not true… especially for Suzette and Mark! 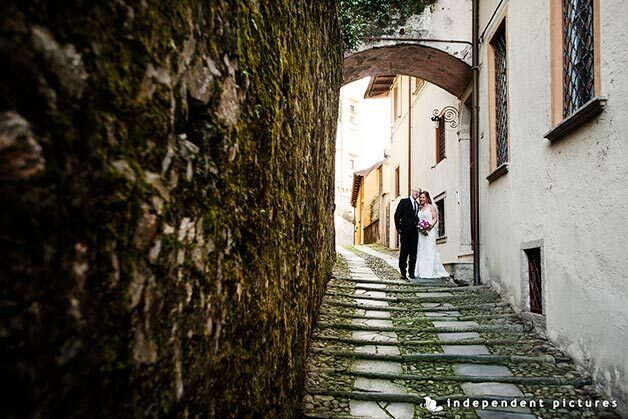 I’m really proud to tell you about this lovely little and intimate wedding on Lake Orta. 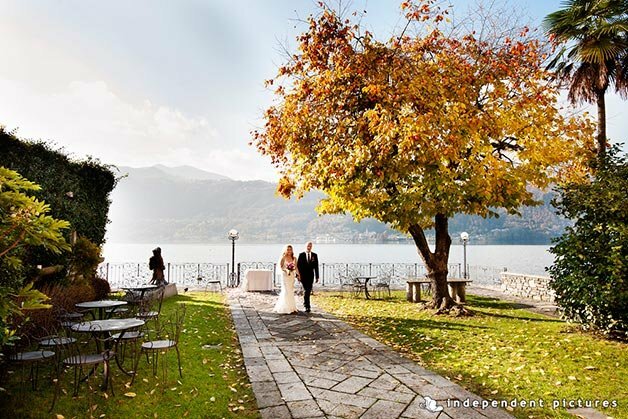 It is another little elope on tiny Lake Orta but it has a special savour. 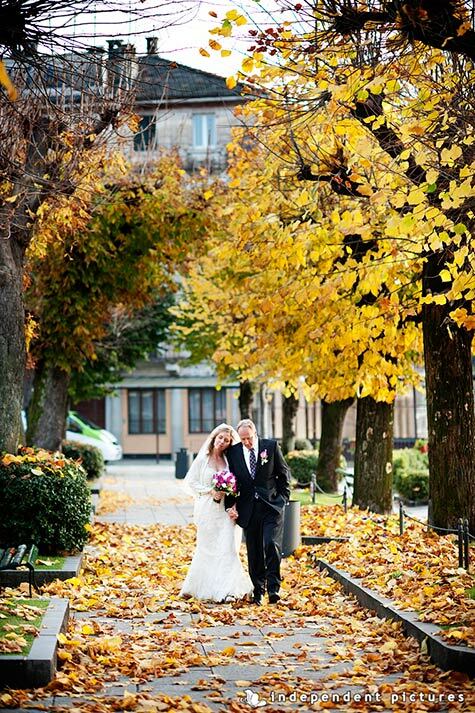 uzette and Mark opted for mid November for their intimate wedding on Lake Orta and the choice was perfect. They both love the nature, wonderful landscapes and warm colours of the Autumn. 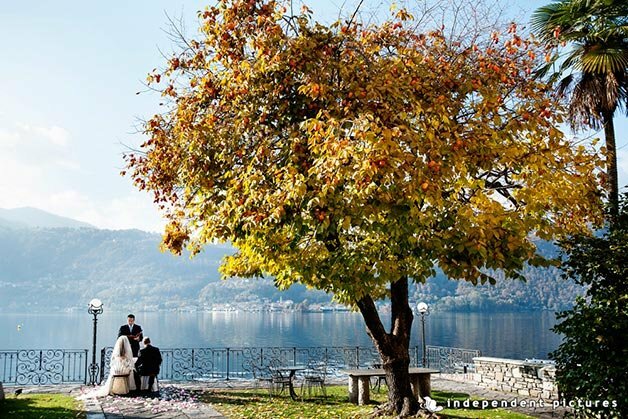 And we cannot forget that planning a wedding on a week day in Autumn in Orta village will give you the possibility to enjoy the location in all its beauty! The event was blessed by a warm Autumn sun and by a wonderful clear day. 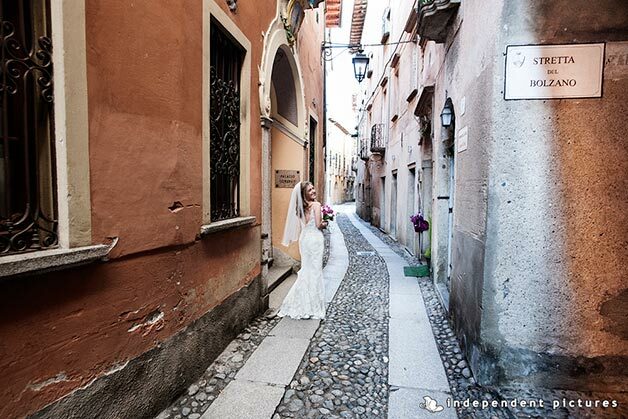 After getting ready in one of the hotels of the village, Suzette walked to San Rocco hotel. 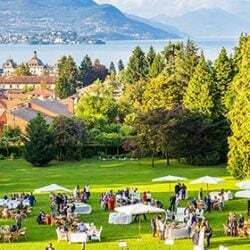 San Rocco Villa Gippini was the venue they wanted for the celebration of their blessing by the shores. Mark was waiting for her and when she reached him the magic started. It was all so quiet and romantic, just the celebrant performing the blessing and Mark and Suzette reading their vows with the sound of the waters as background. 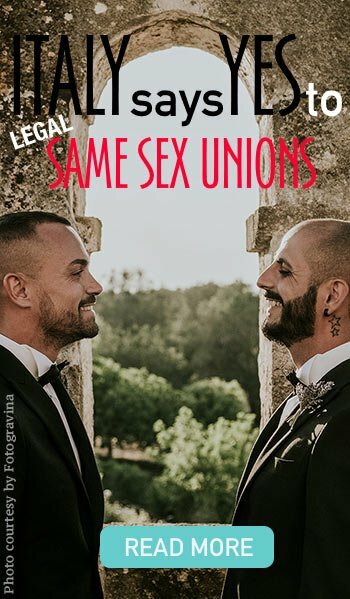 I could not imagine anything more romantic! The perfect frame was composed by the big persimmon tree in Villa Gippini. Perfect Autumn shades, this was exactly what Suzette dreamt. After the ceremony Suzette and Mark had a lovely boat tour to reach St. Julius Island and have some photo there. 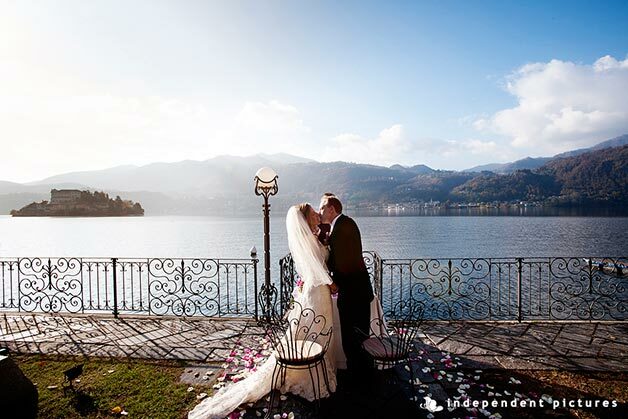 A must if you are getting married on Lake Orta. But side of that Suzette really wanted to have a walk on the leaves of the trees scattered on the floor. She enjoyed so much… a real Autumn feel! 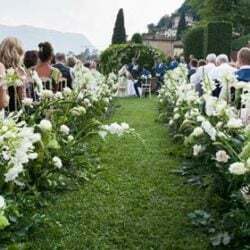 Suzette and Mark celebrated their wedding with a romantic dinner in Orta and spent a wonderful honeymoon travelling across Italy. 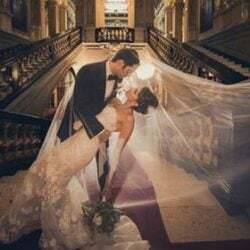 We cannot think as better way to celebrate an intimate wedding! 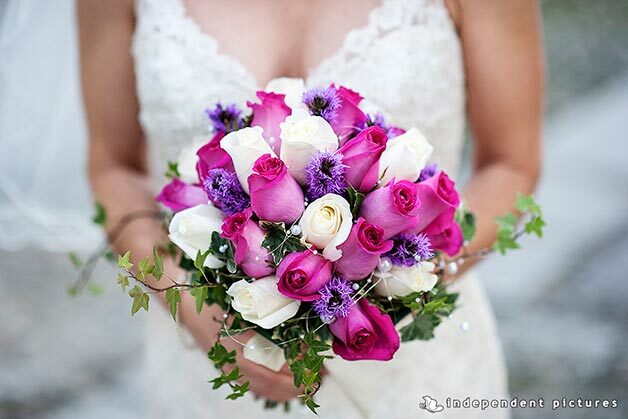 I cannot forget to mention in this post the bridal bouquet! 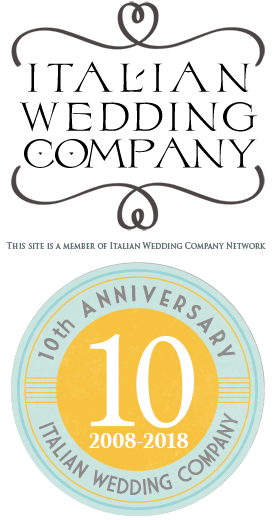 A wonderful creating by La Piccola Selva. Some dark and white colours with ivy and pearls a little colour with a touch of natural Autumn feel. A special thank to amazing job Independent Picture did for this small event, wonderful photos for a very romantic setting. 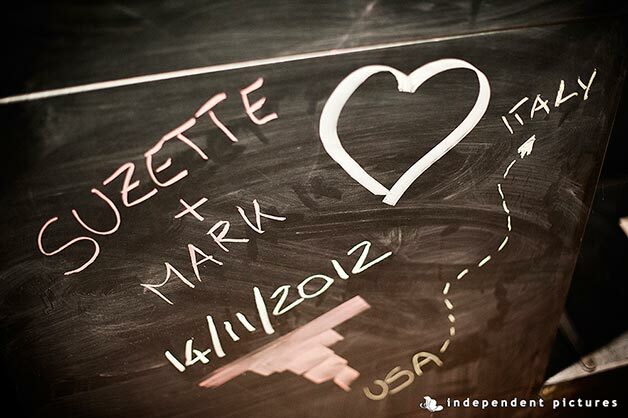 But most of all our love to Suzette and Mark a wonderful couple who will stay in my heart for a long time! 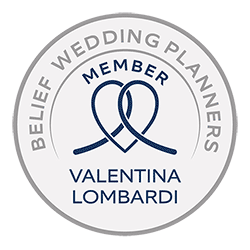 ← Venice weddings: the most romantic way to celebrate your love!